From left, Sgt. Partick Rautert, Pvt. Allen White, Pfc. Alyssa Tamayo, Pfc. First Class Cristina Rodriguez and Pfc. 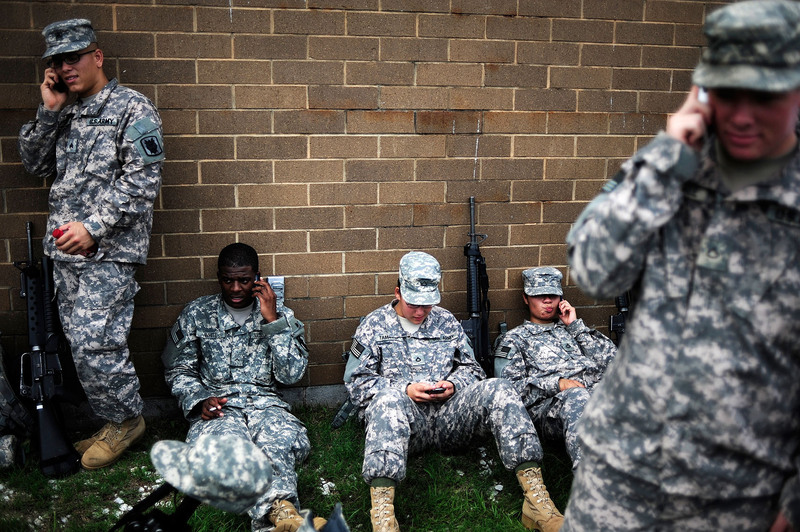 Georg Westfall make last minute calls to friends and family Saturday, Aug. 21 at Fort Gordon.